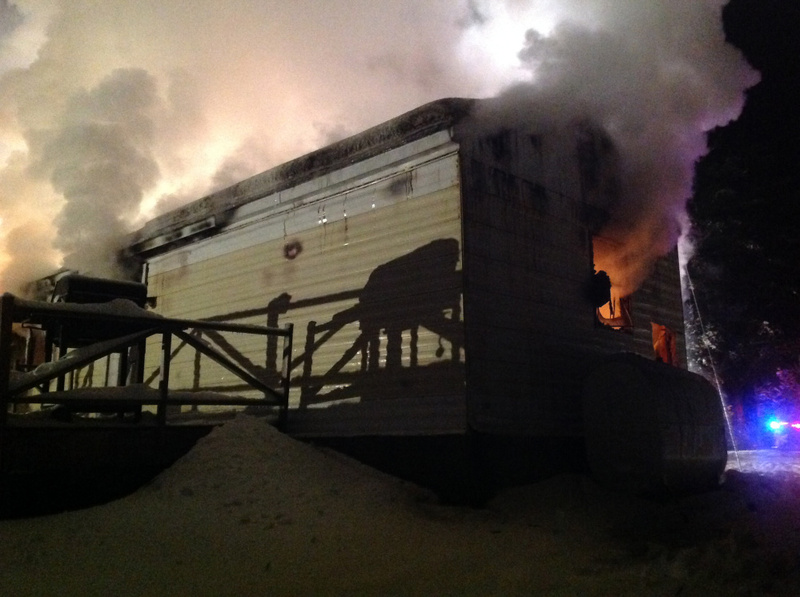 Two people escaped without injury from the blaze, which started after 11 p.m. Tuesday. 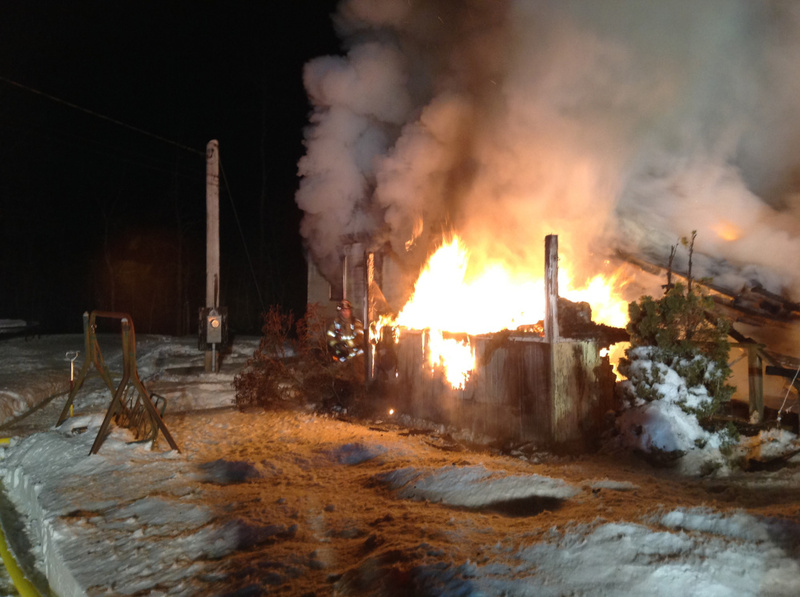 AUGUSTA — Two adults escaped without injury from a fire that destroyed their mobile home late Tuesday night at 58 Outlet Road. “Everyone made it out of the house safely,” Augusta Fire Department Battalion Chief John Bennett said. Augusta police officers, who reached the scene first, reported that the structure was fully in flames and half the roof had collapsed when the first fire engine arrived. “The building, unfortunately, was pretty much destroyed before we got there,” Bennet said. Firefighters were on the scene for about four hours, much of it using hand tools to ensure all the flames were out. He said the home had had some renovations, including an addition. 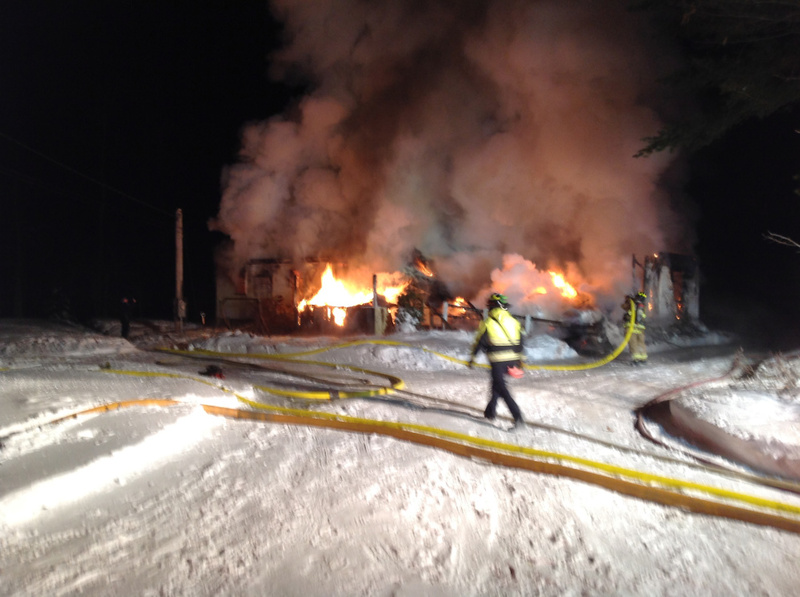 City records show the home belonged to Theresa Overmiller, and she was one of the occupants, Bennett said. He added that the American Red Cross had been called for assistance, but that the residents had made other arrangements. Because the location near Lower Togus Pond is outside the hydrant district, Bennett said, the city department requested an engine from the Togus Fire Department and tankers from Windsor and Chelsea. A second alarm brought in Central Maine Power Co. and help from Gardiner, Winthrop and Hallowell departments for station coverage, he added. Bennett said Deputy Chief David Groder and an investigator from the state fire marshal’s office were called in to determine the origin and that investigators were at the scene Wednesday morning. He indicated it might be some time before an origin is determined. The amount of damage also made it difficult to determine whether smoke detectors were in use, he said.